Which Types of Injection Molding Machine Fits Your Industrial Needs? When it comes to choosing an injection molding machine, you want one that fits your industrial needs. Fortunately, by working with one of the top injection molding companies, you have excellent support throughout the selection process. A representative will gather pertinent information, and based on that, show you machines that match your specific criteria. The best injection molding manufacturers offer a broad range of options, making it possible to serve companies of different sizes and industries. The following are examples of machines and their respective processes. In this case, the manufacturer inflates a parison, which is a plastic mass heated and filled with air. As it fills, the mold conforms to the desired shape. After the plastic part forms and cools, it ejects from the mold. Typically, companies use this type of machine to create plastic containers with thin walls and a uniform shape, including soda bottles, water bottles, milk jugs, and so on. Along with smaller products, this same process works incredibly well for making large items like drums and storage containers. Customization is also possible by choosing among different thermoplastics. Reputable injection molding companies also have machines for the compression molding process. With this, heated plastic goes into a hot mold, which closes and compresses the material into the shape you need. Again, once the product cools, it ejects from the mold. Compression molding includes a curing phase that ensures the finished product maintains both shape and integrity. There are two distinct advantages. First of all, this process is highly efficient. And second of all, it is cost-effective. Also, compression molding is a versatile option that allows injection molding manufacturers to create parts and components of varying lengths, intricacies, and thicknesses. Something else to consider is that with this, the manufacturer uses advanced composites for the plastic, which in turn, produces highly durable and strong products like appliances, body armor, automotive parts, and more. The primary difference with an extrusion molding machine compared to others is that the heated plastic material goes directly into the die. That means instead of forming to the shape of the mold, the plastic conforms to the shape of the die. For products with uniform cross-sections and continuous lengths, this is the preferred method. Another difference is the extrusion injection molding machine has a screw that rotates to feed the plastic into the feeder. 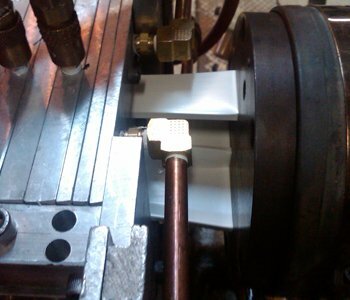 Because the material moves through the die, it creates a long tubular shape. This process produces different sections, including U, T, L, I, circular, and square. There is also an injection molding machine, ranked as the most versatile in the industry. Not only does this machine create parts and components of different sizes but also different shapes. With this, melted plastic is injected into a steel mold. The mold forms to the shape of the finished product. What makes this method so popular is its ability to create small intricate parts for the medical industry as well as large components for the automotive industry. In addition, injection molding manufacturers can enhance a product using a variety of resins and finishes. For that reason, this is the machine used for specialized parts and components. Regardless of the finished product you need, RPM relies on an advanced injection molding machine to ensure precision. For more information about our services, visit our website or call to speak with a representative.